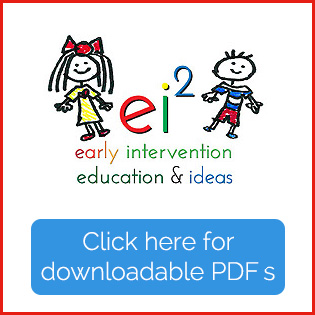 Do you need some ideas for helping a toddler learn to include final consonants in words? Get yourself a good starting point to ensure early success! 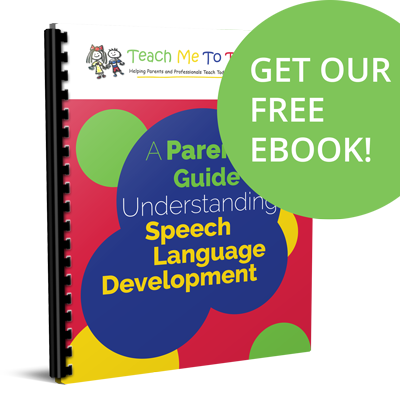 For most toddlers, begin with either nasal sounds /m/ or /n/ or unvoiced consonant sounds /p, t, k/ since those are easier. Resist working on voiced final sounds like /b, d, g/ because toddlers tend to add an extra vowel such as “bed-uh” as they emphasize the sound. If you wait until a child has mastered voiceless and nasal sounds, many times voiced sounds will emerge without any focused effort from an adult. Target this pattern in the most relaxed, fun way by introducing exclamatory words in context. Don’t just practice a word list if there are other options—remember that toddlers learn best by doing! Include the words in play routines in context. My favorite exclamatory words for this goal are “yum” or “mmmm” as we eat snack foods and “boom,” “beep,” “bam,” “peep,” and “toot” as we play with vehicles and throw balls in a ball pit or against a wall. “Mom” is a super functional word for toddlers and if you practice it in a new context, it’s even more fun! I like to teach “Mom” to a toddler almost like an eye roll, by having Mom do silly things a toddler will recognize like putting a hat on her knee, putting a shoe on her hand, putting a sock on her head, etc. “Pop” is another easy word to target as you play with bubbles, popping bubble wrap by stomping on it or by popping with your fingers, and balloons if you can stand the noise as you pop the balloon. Popcorn is always a popular snack for older toddlers and preschoolers with mature chewing patterns and no other feeding issues. “Poop” is a hysterical word for many toddlers. Potty training is a primary activity for his age group, so parents should have no difficulty including this word during everyday activities. “Tot” is a great word for establishing this pattern. I’ve had several little friends add tater tots as a new food when we practice this word—albeit not the healthiest choice! “Cook” and “Cake” are fun target words for pretend cooking with a toy microwave, another kitchen set, or when you’re playing with Play-Doh. Familiarity – These are words toddlers probably hear often at home. Functionality – These are words that a toddler needs to be able to say and and use during everyday routines. Phonetic Complexity – These words are easier for toddlers to pronounce. 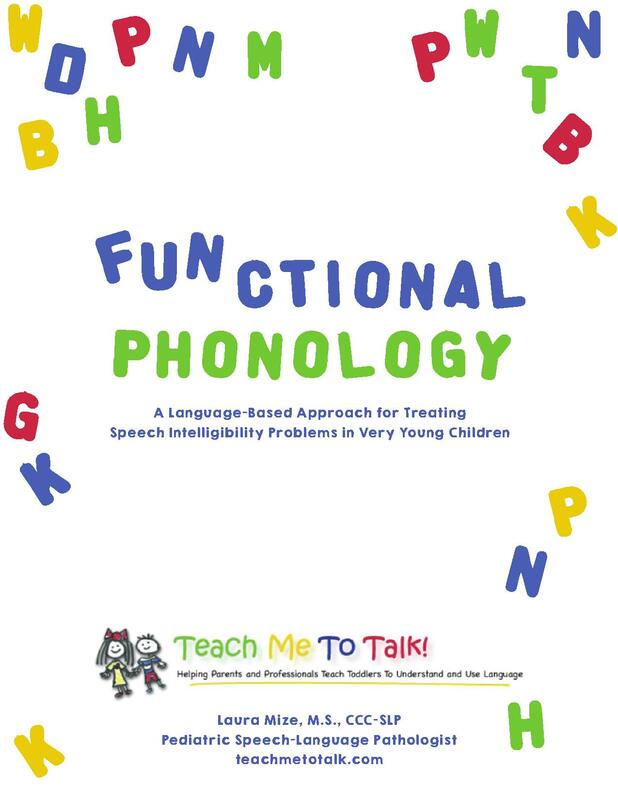 Get your own copy of FUNctional Phonology! 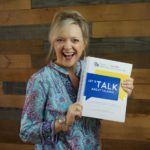 You’ll find TONS of activity ideas and word lists to help you improve a toddler’s speech!